the success of the olegtron table top. 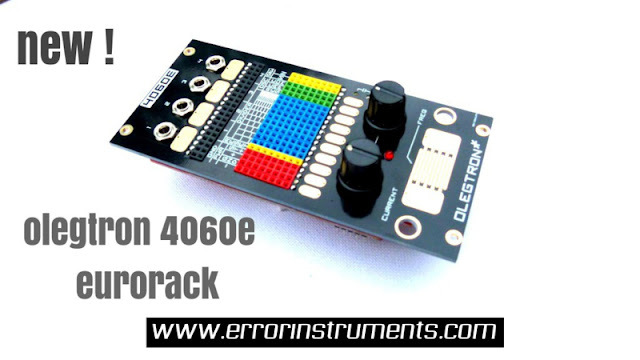 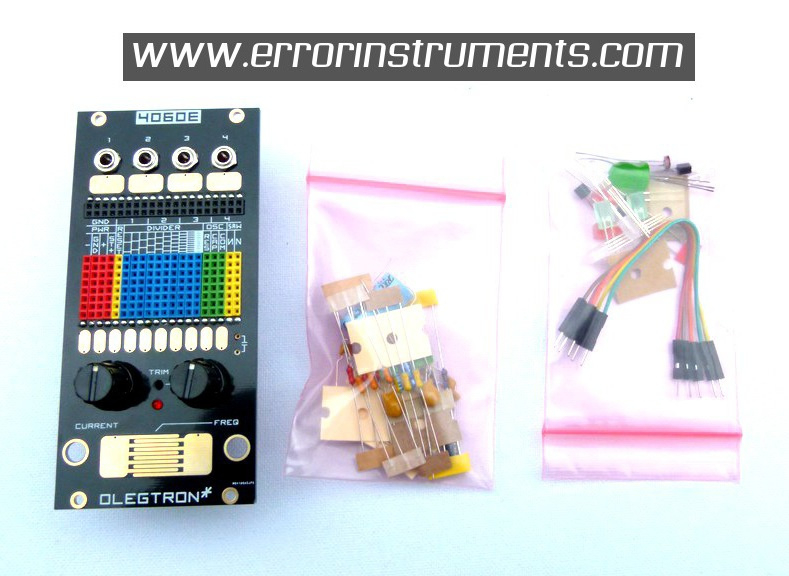 now also in eurorack as CV or audio." 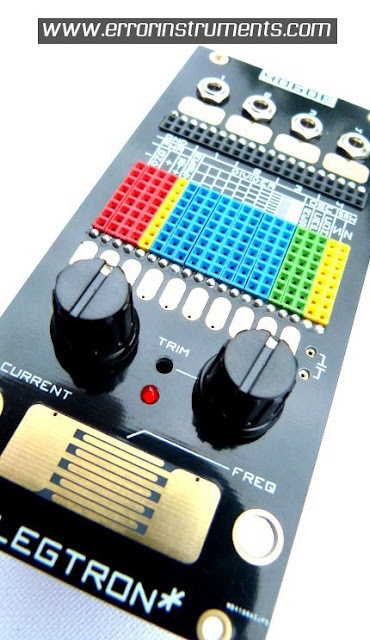 Check out that patch point grid and the connectors in the image below.